Synchronize your space. Organize your life. Spring cleaning has become a household term signifying a fresh smelling home and deep cleaned surroundings. While we totally agree that cleaning is a spring must-do, giving your home, even a deep all-over clean, is still just a Band-Aid. The real results come when you dig deep to identify key issues and put in the work to completely restore, reset and rethink how you are living. Synced Spaces was born from a place much bigger than fun containers, cute labels and Instagram worthy after photos. All material and physical space realignment must start within. Understanding mess and clutter is more than piles of paper or boxes of old clothes that don’t fit anymore. Almost all clutter is created by some sort of indecision or emotional reaction which weighs on us whether we realize it or not. It’s not until we make hard decisions to let things go and set up certain processes forcing us to change behaviors, that we truly realize the weight and impact certain things have on us. 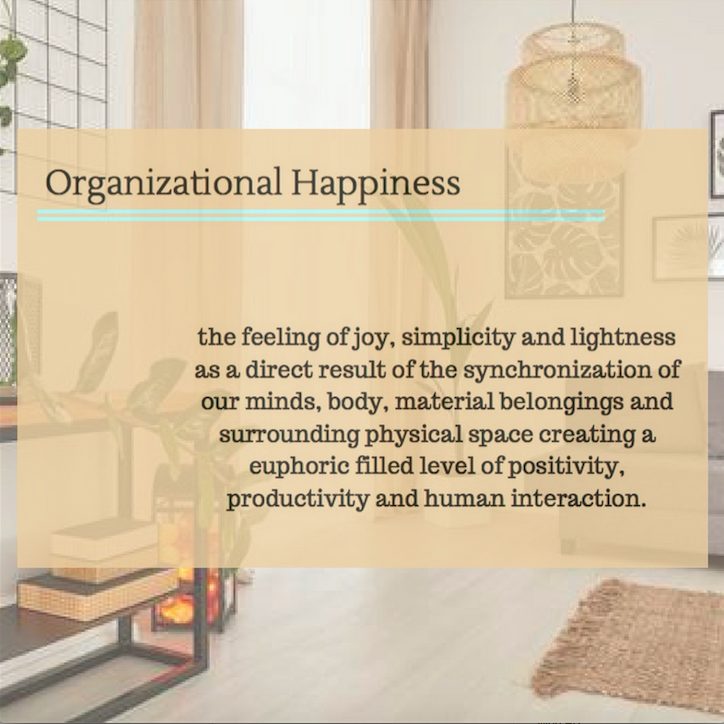 This process is the most important aspect of what we do and that synchronization of physical and mental space is what we call Organizational Happiness. This spring we invite you to not just “Spring Clean” but Spring Clean + Clear your life. If where to start seems daunting, here are a few tips to getting started on creating your own Organizational Happiness this Spring. 1. Make a plan, and start slow. You won’t get real results in one cleaning packed day. Plan it out and execute in a way that you can manage. 2. Analyze where your key issues are. Take the time to really think about how you operate day-to-day. For example, if you are late to yoga every week because your scrambling to get out the door, maybe you set a reminder to pack your bag the night before and have a special hook by the back door where your yoga bag goes. Or if you are constantly picking up your clothes up from your closet floor, maybe you need a new hamper in a different location or even different hangers that don’t let your clothes slip off. 3. Set up new systems and ways of doing things, then be okay with it being a process. We won’t always get it right on the first problem solve. Sometimes it takes a few times of reworking spaces or ways of doing things to make them work for you. Check in with yourself and your family on how things are working out. Make changes if needed and keep working at it. 4. Commit to being decisive and decide NOW. We believe that most all clutter and mess is caused by some sort of indecision or a matter of 5 minutes. Setting up a way of doing things is step one, taking the time to do them in the moment is step two. File paperwork right away, if you don’t have a file for it already in your cabinet - make one right then. If you knock over a pile of clothes pick it up. If you find something that needs to be refilled, refill it. Most times it’s a matter of 5 minutes between you and clutter filled dysfunction. Newer PostOptimize your carry on for summer getaways.